We offer themed events, tours of our on-site winery, holiday parties, wine tastings customized to your group in our tasting room or in the Voorhies Mansion. We can pair wines with fabulous meat and (or) cheese platters, a selection of appetizers, or an elegant meal. We have had the pleasure of hosting such groups as: Channel 10 KTVL, American West Bank, Farmers Insurance, SOREDI, Southern Oregon University, regional medical groups and many others. We offer a wide range of wedding spaces to create the perfect storybook wedding. Formal, casual, sophisticated... whatever your dream, let us help you create a memorable and fun event. Our site can accommodate very large groups --including parking. Click here to see our Wedding Photo Gallery. 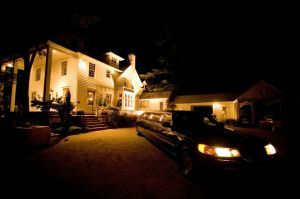 Plan your business meeting, retreat, outdoor BBQ or special dinner event at Eden Valley Orchards. We offer a unique, private setting, custom menus and a range of venues and services. Our creative staff planners and chef can assist in making your event incredible. We specialize in creating out-of-the-box themed events or over-the-top experiences. Host your family reunions, holiday dinners or once-a-year social gala at our historic mansion. We have beautiful table settings, seating for many and an inviting atmosphere. We do the dishes and sweat the details. You enjoy the guests and the party. From a small to a large gathering, your event is important to us. Entertainment and specialty menus can be provided for children to make it fun for everyone. Decorate your event with pears! Click here for ideas. We receive tons of thank-you's and accolades for events at Eden Valley Orchards. We hope that you will book your special event at our facility and enjoy the benefits that our talented staff can bring. We are quite different as a result of our customer service and interest in making your event as unique and perfect as you do!